Monobank continued to experience a positive market response and continued strategic progress through the fourth quarter of 2018. Overall loans and advances to customers increased by NOK 257 million to NOK 3 706. Fourth-quarter net interest income was NOK 95.1 million, an increase of more than 10% from the previous quarter (NOK 86.1 million). Net interest margin improved slightly to 7.7% from 7.6% in Q3 2018. In connection with the annual evaluation and impairment testing of the loan portfolio, loss provisions increased significantly and totaled NOK 66 million. Increased loss provisions are mainly a result of increased data and portfolio insight into the historic Norwegian portfolio 90 days +, which gave an increased provision of NOK 27 million. The adjustment of a previously inaccurate data set led to a one-time effect of NOK 11 million. Losses on loans from the Norwegian portfolio will be moderated by the forward flow agreement going forward. Monobank has also strengthened the reserves in Finland in line with the rest of the consumer finance segment. After the quarter, Monobank ASA entered into a merger agreement with BRAbank ASA , to create a fully funded bank with significant growth opportunities and a highly scalable business model. The combination will create significant value and benefits for Monobank’s shareholders through cost synergies and significant revenue synergies from complementary distribution strengths. 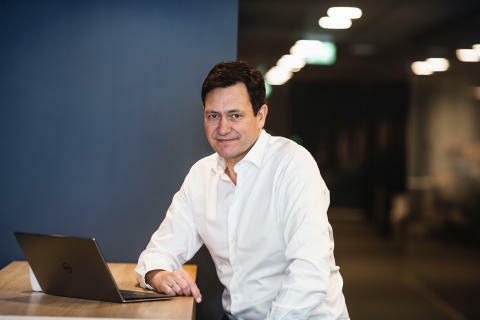 “We are highly enthusiastic about combining with BRAbank and creating a very strong platform for continuing the growth in the Nordic consumer finance market, where we see attractive opportunities ahead together. 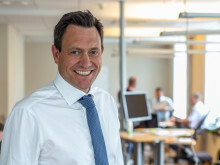 With this transaction we will have a very strong capital base that will allow us to pursue our ambition of reaching NOK 10bn in loans by year end 2024 and 20% return on equity long term” says Bent Gjendem, CEO of Monobank. There will be a press conference, investor and analyst presentation at 12:00 on today Friday 8thFebruary 2019 to be held at Felix Konferansesenter in Oslo. The participants for the presentation will be Geir Stormorken, Chairman of BRAbank and Bent Gjendem, CEO of Monobank. 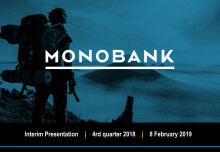 The fourth quarter report and presentation will also be made available on www.monobank.no/irand www.newsweb.no. Monobank ASA a is digital bank focused on consumer finance in the Nordics. Monobank is a cloud based bank with strong focus on customer experience and fintech solutions. Monobank is based in Bergen, Norway and started operation in November 2015. The bank has experienced strong growth and went profitable after only three quarters. The bank offers unsecured lending to qualified private individuals in Norway and Finland. The screening process is based on an automated evaluation system. Loans are granted up to NOK 500 000. The bank also offers attractive deposit rates on its savings accounts. 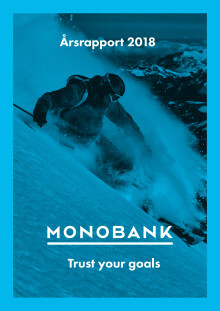 Deposits up to NOK 2 million are guaranteed by the Norwegian Banks' Guarantee fund, of which Monobank is a member. Monobank is an independent bank with approximately 1 000 shareholders and was listed on the Oslo Stock Exchange's Merkur Market on 16th February 2017 under the ticker symbol MONO-ME. Monobank has been awarded with "Great Place to Work" twice since the start.